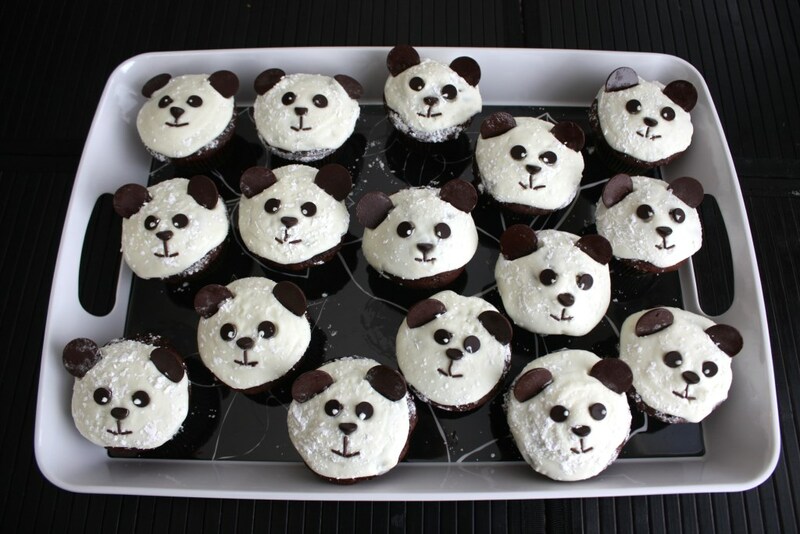 So I was looking for a quick and easy way to decorate cupcakes for a birthday party and found a wonderful way to make cupcakes look like panda bears! This came particularly useful to me since I had bought a great big huge panda bear for the birthday gift. So, keeping with the theme the cupcakes worked perfectly for the special day. All you do is make your cupcakes and ice them with white icing (any yummy flavor will do). The icing doesn't even have to be perfect, because what you will end up doing is turning the cupcake upside down and pressing it into some sugar powder to give it a fuzzy texture. 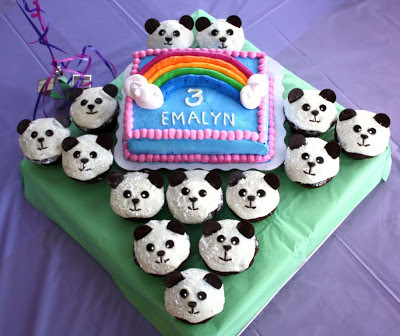 Next, take chocolate chips, chocolate melts, and some candy bits to form the panda face. That's it! So simple and such a crowd pleaser too! Enjoy!! !